Nature is unrivaled in its ability to produce structurally complex molecules with high biological potency. Natural products have been used medicinally for centuries and have provided a profitable source of potential drug leads. 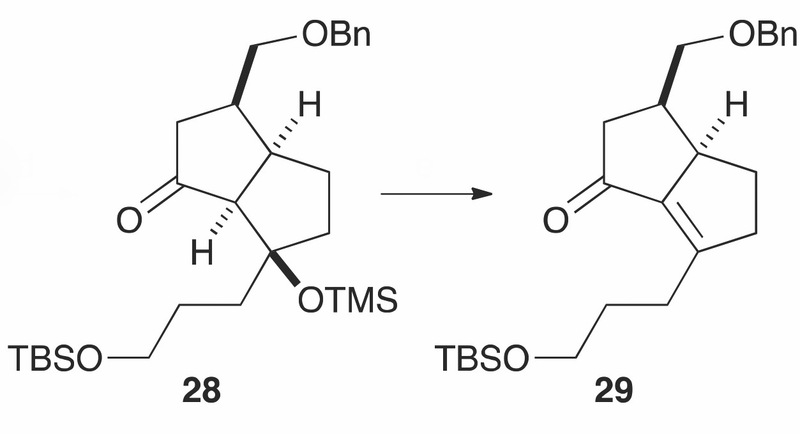 Developing efficient strategies for their total synthesis, as well as the production of analogues, has always been challenging. 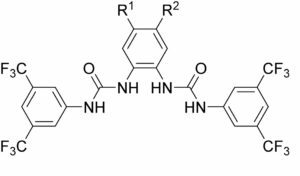 In a recent OBC publication, Professor Shuangjun Lin of Shanghai Jiao Tong University has identified a key enzyme in the biosynthesis of the natural product, Streptonigrin, a highly fictionalized aminoquinone isolated from the bacterium Streptomyces flocculus. 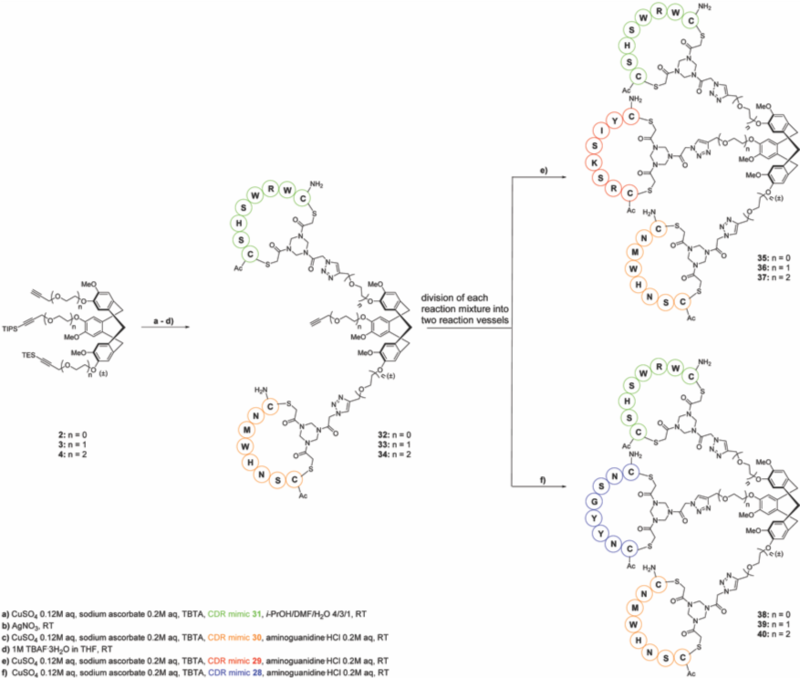 Streptonigrin has a long history and has attracted considerable attention from both the synthetic and biochemical communities due to its challenging molecular framework and potent antimicrobial and broad-spectrum anticancer activities. In the 1970’s, Streptonigrin reached phase-II clinical trials, though ultimately failed due to high levels of toxicity and side effects. 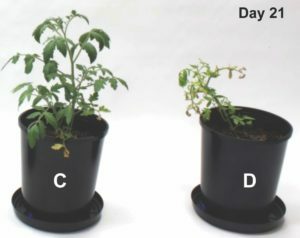 Nevertheless, interest in its medicinal properties still remains, and many studies detailing its chemical and biosynthesis have been reported, with the hopes of enabling the production of Streptonigrin-based analogues, which would mitigate the natural product’s cytotoxicity while harnessing is broad biological capabilities. Prof. Lin reports that previous genetic and biochemical studies successfully identified a key β-carboline (3) intermediate in the biosynthetic pathway of Streptonigrin. 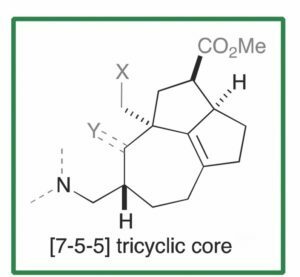 The β-carboline moiety is a common structural feature within a large group of natural and synthetic indole alkaloids however, the enzymes catalyzing their formation have not been well characterized or reported. 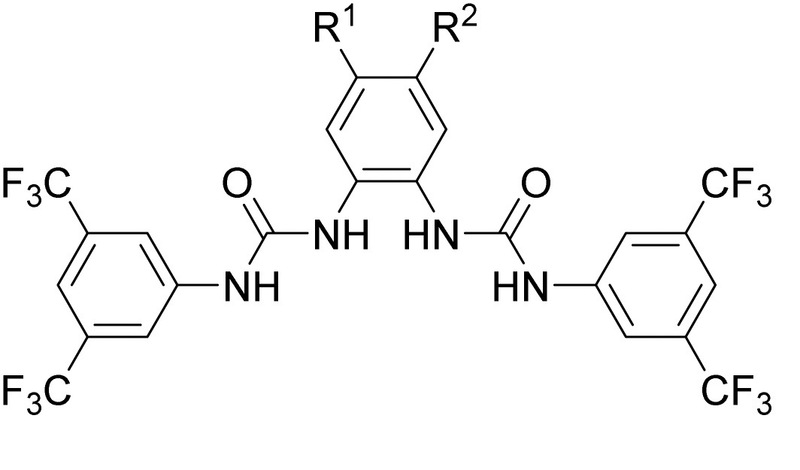 Lin and coworkers have identified a protein, StnK2, which they propose catalyzes a Pictet-Spengler reaction responsible for β-carboline formation from (2S,3S)-β-methyl tryptophan and erythrose (Figure). The study focussed on the biochemical characterization of StnK2 as a Pictet-Spenglerase, analyzing in detail its stereoselectivity and substrate specificity. StnK2 exhibited exclusive aldehyde specificity, though was flexible towards various tryptophan analogues. 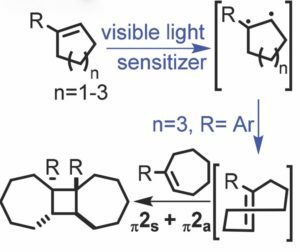 Additionally, StnK2 demonstrated high stereoselectivity, only recognizing S-enantiomers and producing the (R)-C-1 of the β-carboline scaffold. 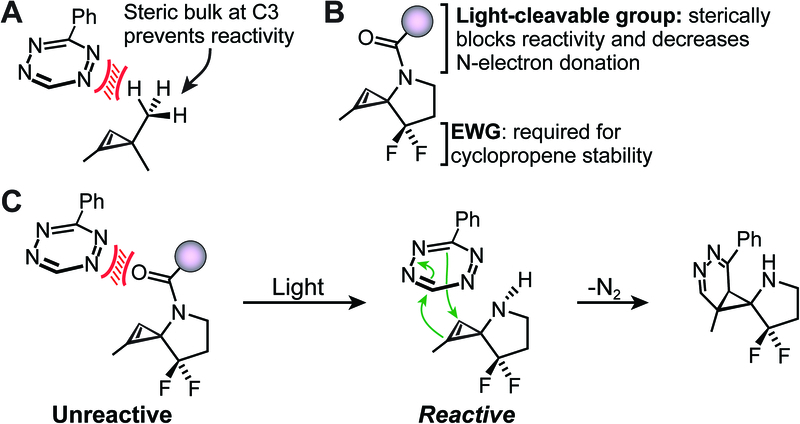 This study has not only contributed to our knowledge of Pictet-Spenglerase enzymes, but has established a new means through which Streptonigrin analogues can be efficiently generated and their medicinal properties explored. Victoria Corless completed her Ph.D. in organic chemistry with Prof. Andrei Yudin at the University of Toronto. Her research centered on the synthesis of kinetically amphoteric building blocks with particular emphasis on creating novel biologically active molecules. She is passionate science and communicating new discoveries to enhance science literacy. Developing efficient crop fertilisation has become an ever-growing concern given the increasing demand for global food production. Slow-release fertilisers have been developed as a strategy to increase the efficiency of crop production while minimizing nutrient waste, reducing negative environmental impacts and enhancing crop yield. Mechanisms for controlled nutrient diffusion include semi-soluble or complex forms of the nutrient, slow hydrolysis of water-soluble compounds, and encapsulation of the nutrient within semipermeable or permeable coatings for controlled solubility/release (among many others). While slow-release strategies are promising, technical limitations such as the brittle nature of inorganic coatings and composites or the imperishable nature of synthetic polymer coatings hinder their industrial utility. In a collaborative study published by Professor Justin Chalker of Flinders University, the group sought to develop an efficient and durable slow-release fertiliser derived from canola oil and elemental sulfur. Sulfur is highly appealing given its low cost, abundance, and that it is a secondary plant nutrient and fungicide. Numerous studies and years of research, however, have demonstrated that a persistent limitation of sulfur-coated fertilizers is their brittle nature. The present study, therefore, focused on converting sulfur to a more durable polymer form to be used as a composite with or encapsulate NPK (nitrogen, phosphorous, and potassium) nutrients. Inverse vulcanisation was used to prepare the sulfur polymer. 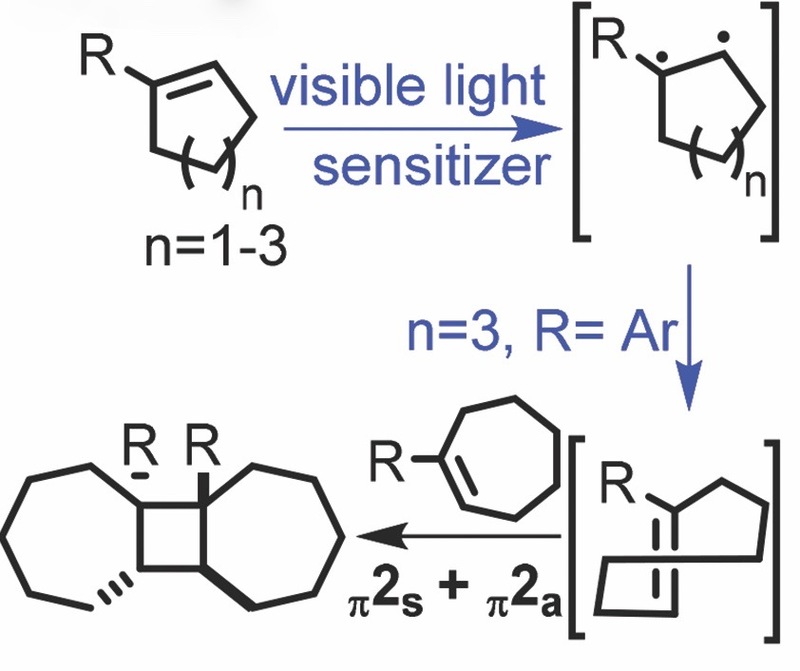 In this process, elemental sulfur is heated to promote the production of thiyl radicals which can react with an unsaturated small-molecule cross-linker. In this case, canola oil was used as the cross-linker to form a polysulfide polymer capable of encapsulating NPK nutrients. Elution studies in which fertiliser is placed in a soil column and conductivity of the outflow is measured demonstrated the superior capabilities of the sulfur-encapsulated NPK fertiliser in controlling NPK nutrient release relative to free NPK. A small-scale plant growth study also found that plants treated with the composites were significantly healthier and produced more fruit relative to other groups. What’s even more exciting is the fact that the canola oil polysulfide can be made from recycled cooking oil, converting food waste into valuable fertilisers. With the rising challenge of feeding a rapidly growing population while also mitigating damaging environmental impacts, studies such as this that make significant strides toward efficient and sustainable agricultural practices are more important than ever. Victoria Corless has recently completed her Ph.D. in organic chemistry with Prof. Andrei Yudin at the University of Toronto. Her research is centered on the synthesis of kinetically amphoteric building blocks which offer a versatile platform for the development of chemoselective transformations with particular emphasis on creating novel biologically active molecules. She is passionate about communicating new discoveries to enhance science literacy. The risks associated with excessive exposure to ultraviolet (UV) radiation are well studied and many national healthcare initiatives have been pushing for large-scale sun protection programs. Despite this drive for a broader public awareness, recent studies have disclosed that skin cancers, such as melanoma, basal cell carcinoma, and squamous cell carcinoma, have become the most common form of cancer worldwide, with more new cases of skin cancer diagnosed in the U.S. than breast, prostate, lung and colon cancer combined. In a recent OBC study by Professor Ronald Raines of MIT, the researchers identify that although the risk of skin cancer and visible signs of aging can be minimized by using sunscreen, there is still a need to develop more durable, non-greasy sunscreens that are not readily washed away with water or sweat. Sunscreens typically form a protective barrier on the skin and protect against various types of UV radiation by either absorbing or reflecting UV light before it can reach DNA. Typical absorbing filters are small aromatic compounds, such as salicylates, cinnamates, benzophenones, or derivatives of p-aminobenzoic acid. Previous studies have been carried out wherein small molecule UV filters have been attached to lipophilic moieties to minimize the amount of sunscreen washed away during physical activity. However, such compounds have not been shown to effectively withstand ‘washing’ and are often undesirably greasy, which according to the authors diminishes public compliance to use them. 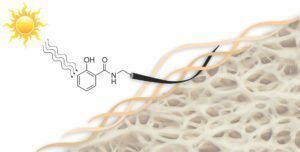 Raines and coworkers propose that collagen mimic peptides (CMPs) could be used to effectively anchor pendent UV-filters to the skin. Natural collagen contains loops and interruptions in its overall 3D structure which provide numerous binding sites for CMPs (as demonstrated in the Raines group’s previous work). Since collagen is the primary component of skin, this would provide a means for efficiently tethering UV filters to the skin in order to create an effective, water-resistant sunscreen. Raines and coworkers showed the successful anchoring of a salicylic acid bound CMP and its retention on collagen-containing skin surrogates after repeated water washes. This strategy is highly modular and provides an excellent proof-of-concept for the development of more effective and durable sunscreens to address a worldwide concern. Electron paramagnetic resonance (EPR) is powerful technique for studying chemical species containing unpaired electrons. It has far reaching applications in a number of fields as it can be used to elucidate structural, electronic and conformational dynamic features in a given system. In biological settings, paramagnetic probes have been developed to ‘spin-label’ desired biomolecules using a technique called site-directed spin labelling (SDSL). In combination with other methods, EPR has emerged as an efficient means of studying proteins close to their native physiological states and can be used to glean information regarding the immediate environment of the spin-labeled side-chain as well as measure intra- and intermolecular distances within the protein. A challenge has been in developing rigid spin-labels to improve the accuracy of distance measurements as the most reliable information is attained if the distance between spin-labels is unchanged by conformational flexibility. In their most recent OBC publication, Prof. Snorri Sigurdsson of the University of Iceland and Prof. Thomas Prisner of Goethe University describe the development of an enhanced isoindoline-nitroxide derivative of uridine (ImUm), the first example of a conformationally constrained spin label for RNA. Limited mobility of ImUM is a result of the nitroxide N-O bond lying in the same axis as the bond used to link it to the uridine base. As a result, bond rotation does not drastically alter the position of the nitroxide. Additionally, ImUm was shown to bind specifically and with high affinity to abasic sites in duplex RNAs. Here, rigidity is further enhanced through intramolecular hydrogen bonding between the nitroxide probe and the orphaned uracil base. 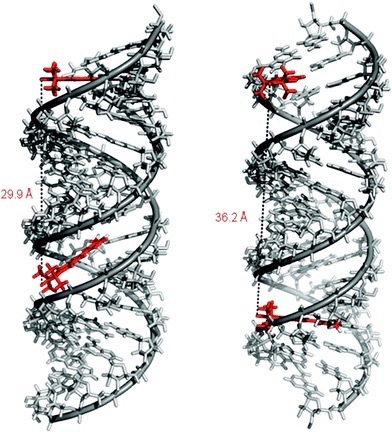 ImUm is a promising label for EPR studies of RNA, providing highly useful and dynamic structural information unbiased by conformational flexibility. According to statistics published by the World Health Organization (WHO), tuberculosis (TB) is globally one of the leading causes of death from a curable infectious disease. While antibiotics represent a major breakthrough for modern medicine, the spread of multi-drug resistant (MDR) bacterial strains, such as Mycobacterium tuberculosis, have become a major threat to healthcare. Encouragingly, renewed efforts in antibiotic research have resulted in the identification of new leads, some of which are currently in clinical trials. Even in light of these promising efforts, Dr. Ehmke Pohl of Durham University and collaborators from the Cambridge Crystallographic Data Centre and Institut Pasteur de Lille are emphasizing the need to optimize existing TB treatments as well as develop an efficient means of identifying novel therapeutics. Structure-based drug discovery is an integral part of most industrial drug discovery programs and as a result, there is an ever-growing number of protein X-ray crystal structures available in databases such as the Protein Data Bank (PDB). Pohl and collaborators outline a robust and versatile strategy for an in silico screening protocol based on compounds in the ZINC database (a free resource of commercially available chemical compounds) and crystal structures in the PDB. Their current OBC study focuses on the transcriptional regulator EthR which is involved in M. tuberculosis resistance. EthR has been shown to limit the efficacy of ethionamide-based drugs by downregulating the EthA enzyme involved in activation of ethionamide prodrugs. EthR has therefore been validated as a suitable target as its inhibition boosts ethionamide action. Using tailored chemical and physicochemical descriptors (for example: compound volume) and a detailed knowledge of the EthR binding pocket, approximately 6 million compounds were evaluated for compatibility using KNIME pipeline software. 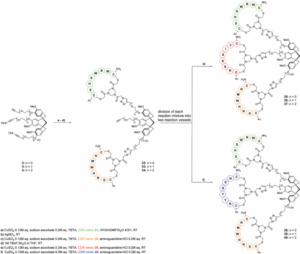 409 201 diverse compounds were identified for docking studies and surprisingly, only 6 compounds failed to produce feasible binding interactions. 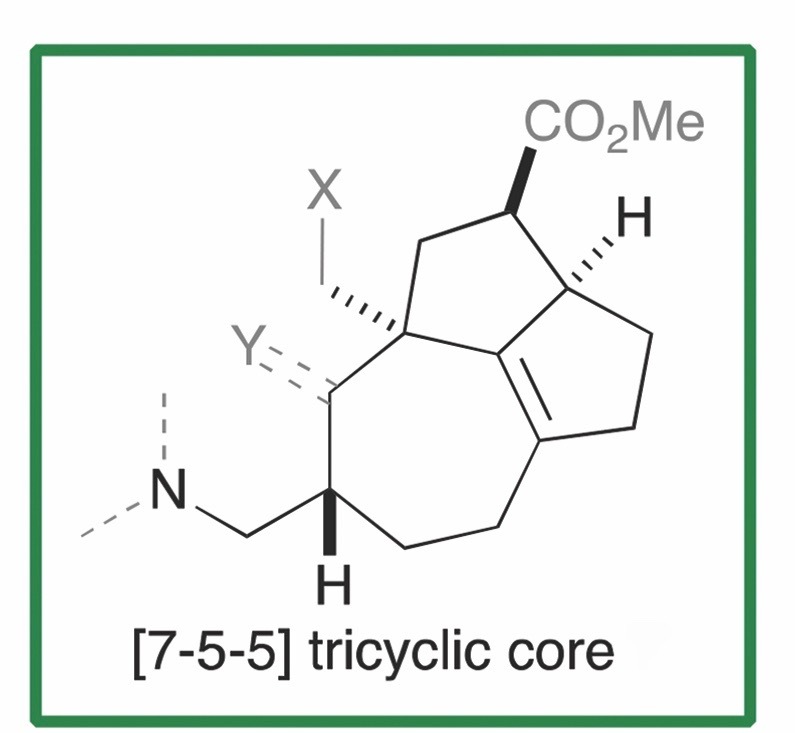 After a careful post-docking filter, 284 chemically diverse compounds were obtained and a visual analysis of all binding poses and ligand geometries in combination with computational analysis narrowed the screen down to 85 substrates. These in silico hits were then evaluated for their capability to bind to EthR using thermal protein stability studies which resulted in 20 new potential candidates for lead optimization with reasonable EC50 values. Given the ever-growing number of high resolution crystal structures in the PDB, in silico screening approaches can be tailored to any well-characterized protein structure and utilized as an efficient tool for identifying new active molecules.